I’ve become very familiar with the round-trip flight from Washington to Chicago. I can tell you how to get to the Reagan National, Dulles, or BWI airports using public transportation, and once there, I barely have to look at the overhead signs to steer myself toward the correct ticket counter. The flight itself? Similarly predictable, with the patchwork of dull green and brown cropland stretching out flatly as far as the eye can see. On such a trip, getting a window seat isn’t the trophy it used to be, back when I was a wide-eyed kid. But this weekend, I was reminded that not all airplane rides are simply ways to get from Point A to Point B. Soon after my connection flight left Milwaukee, the pilot began to narrate our journey excitedly: “Folks, off to your right is Denver, and we’re nearing Aspen and Telluride! You’ll see the land get hillier as we head into the Rocky Mountains.” Sure enough, the peaks soon appeared in stark relief, snowcapped and majestic. “There’s Monument Valley,” he narrated. “And we’re coming up on the Grand Canyon—you’ll see the Colorado River’s pretty muddy this time of year.” He couldn’t even help himself from pointing out Las Vegas as we pulled closer to southern California. As a pilot, I’m sure he’d passed over the same scenery too many times to count. But since a cross-country flight is such an unsubtle reminder of America’s varied beauty, I can’t imagine these views would ever get old, either. It wasn’t my first time in LA. I was now traveling independently, though, and into less touristy reaches of the city than I’d explored previously. A return visitor much like my pilot, I was still captivated by my surroundings—and luckily, I had a group of wonderful friends and family members to serve as my tour guides. First stop? 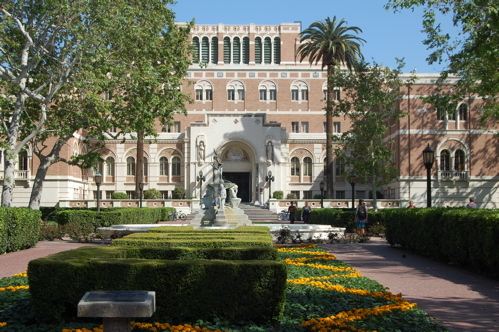 The University of Southern California, where my little brother Jamie attends film school. We spent half a day wandering the sprawling campus, smoothies in hand. 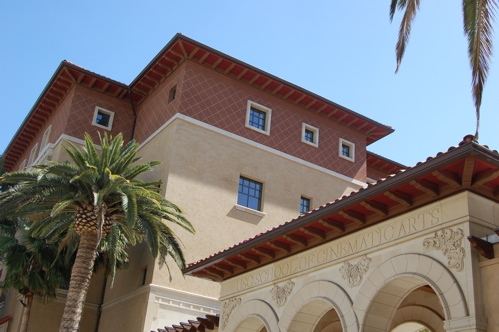 I gawked at the gorgeous School of Cinematic Arts, whose construction was funded by George Lucas; I procured tchotchkes at the bookstore; I played with the life-size chess pieces on the library tiles. Wandering off-campus for a very legit Mexican dinner, I also got a taste of USC’s frat scene as we walked The Row: parties start early on Friday afternoon, and at run-down mansions with beach volleyball courts for lawns, no less! Saturday morning was kicked off over brunch, as my former roommate Kelsey and I devoured pancakes and eggs at the 2-9 Café. Much girl-talk ensued. She drove me through the Armenian hub of Glendale, then into quiet Burbank where the jasmine was blooming. We couldn’t resist a trip to Calabasas, where checking out the Kardashians’ clothing store (and refueling with cookies and iced coffee) is de rigueur. 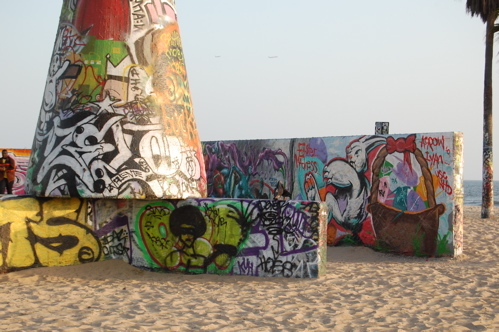 My cousin Katie took over as chauffeur, hauling me and Jamie to Venice Beach. It’s a strange place, I found, populated by gigantic funnel-cake emporia, skateboarders, graffiti artists, medical marijuana “pharmacies,” and those gawking at all of the above. For dinner, we escaped to a diner serving—only in California!—plenty of vegan fare, and offering only the freshest local ingredients. 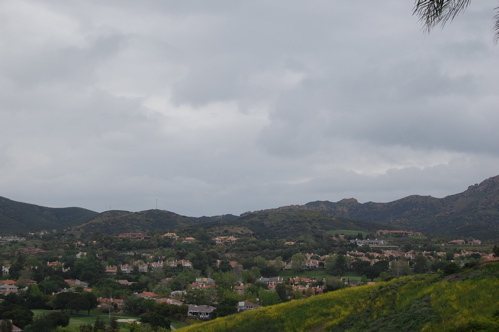 After such a packed weekend, the three of us were content to spend a quiet Sunday afternoon winding through the hills to Thousand Oaks. Our aunt, uncle, and cousin Rachel awaited us, with plenty of appetizers set out and burgers sizzling on the grill. It was there that we stayed for hours, laughing and eating and catching up—and did I mention the laughing? 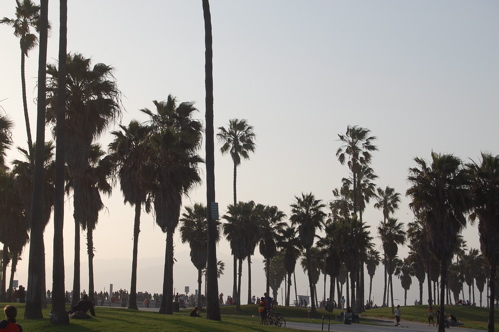 I love discovering new corners of a city, but at the end of it all, there was nothing quite like reconnecting with a handful of its dwellers, those Angelenos who are dearest to me. My LA people should expect a return visit—although next time, I’ll come when it’s warm enough to swim!